Youtube is the most famous space for users to upload and share their video online, the maximum size of video can be upload is 100MB. For users will having more then 100MB video to upload, is better reduce or compress the video so that it can be upload to Youtube. If you are having a video file (.avi) that more then 100MB, then use the Zwei-Stein Editor to reduce the video size. Zwei-Stein is a fully functional, non-destructive video editing system which offers many advanced features unavailable elsewhere. This is a great freeware tool for user to reduce or compress the video or audio files. Click File –> Import –> Import Video Clip. Open your avi file. Click Destination –> Video Format. Choose minimal video resolution. Click Destination –> Frames per second. Choose desired fps value (minimal or acceptable). Finally, click Destination –> Export –> Video for Windows –> … choose filename. Select sound quality (to minimize file size use average quality). OK. Choose XviD. Done! 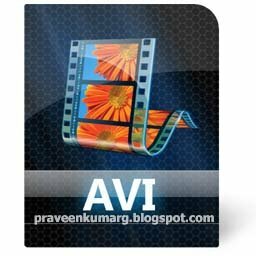 AVI file size has been reduced. Up to 16 audio channels per track. Musical time toolbars to allow for time related operations within the context of beats/bars/parts. Another free tool we would recommend is YouTube Video Downloader. You can use it download YouTube Videos and save them to your iPhone or iPad.